It wasn’t too long ago that the latest trends in real estate technology were virtual reality tours and drone photography. Now, agents are having to explore what were once far-out concepts like artificial intelligence, machine learning, geofencing and blockchain. There has been an explosion in recent years not only of the technology available to agents, but also the money being poured into the tech side of the business. In 2017, investors spent over $5 billion on real estate technology, a significant increase from $33 million in 2010, according to Forbes. The money is being invested not because the buying and selling of homes is increasing as a portion of the economy. Rather, it’s because the real estate industry is fragmented, saddled with regulations and often slow to innovate. In other words, it’s been an industry poised for a technological takeover. There are plenty of investors and startups seeking to do just that, while the traditional industry powerhouses remake their in-house technology divisions to keep up. And while the change and “disruption” — the favored term of technologists and venture capitalists — can be daunting to some, the overall goal is to make buying and selling homes as smart and easy as possible, for both agents and their clients. Now more than ever, brokerages are looking for technological advances to gain an edge over the competition. Consider the rapid rise of Compass, a startup brokerage with a focus on developing cutting-edge technology, which has led to a nearly $2 billion valuation and the signing of 2,000 agents since 2016. 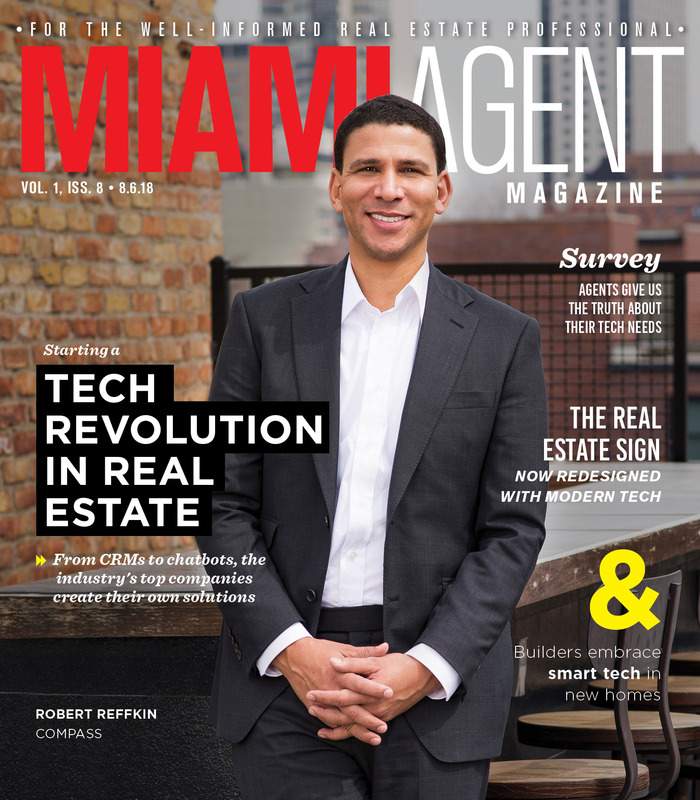 Compass has committed to cutting down on the inefficiencies in the real estate industry so that its agents have access to an easy-to-use platform that houses all the tools agents need to make more sales and advance their career, says founder and CEO Robert Reffkin. Compass is currently touting a new customer relationship management (CRM) platform expected to launch in the third quarter of 2018. While there are more than 30 CRMs on the market today, Compass will have the first to compile clients, listings and transaction information on a single platform, Reffkin says. The CRM will incorporate some of the company’s existing tools, including the insights tool, a dashboard that provides agents with up-to-the minute data on web traffic for their listings; and the collections tool, a client-facing visual portfolio that allows clients to communicate with agents in real time, as well as see pricing and status updates on properties they’re interested in. Consider also that the nation’s biggest real estate franchise, Keller Williams, has essentially rebranded itself into a technology company with the hopes of becoming — in the words of owner Gary Keller — “the Amazon of real estate.” To do so, Keller Williams created KW Labs, the franchise’s innovation hub, and hired as its director Adi Pavlovic, a former technology consultant who had no prior real estate experience. KW Labs works as a product development incubator that leverages the knowledge of more than 159,792 Keller Williams agents to build new technology that will make their jobs easier. One of Keller Williams’ greatest developments to date, according to Pavlovic, has been the creation of Kelle, a virtual assistant for agents. The technology is essentially a task manager for agents, and it seeks to consolidate the dozens of technology tools agents use on the job. For example, agents can ask the app about the status of their referrals or to list the contacts that the agent has not reached out to in three months. The idea for the virtual assistant came from an agent, Pavlovic says. Artificial intelligence has long been the domain of sci-fi thrillers and college classrooms, but the technology is impacting the real estate industry today in various capacities. There’s Keller Williams’ virtual assistant, which is on the cutting edge of AI use in real estate, and then there are chatbots, which have been adopted by virtually everyone in the industry. Though chat icons have been on brokerage websites for years, the technology has advanced greatly in recent years. In the near future, artificial intelligence will shape every aspect of the industry, Pavlovic says. Reffkin agrees that AI will play a big role in shaping the industry’s future. Technology has not only disrupted how agents work, but also how they market themselves. Whereas an advertisement on a bus stop was at one point enough to get one’s name out in a particular market, agents must now also be masters of targeted digital advertising and, of course, social media. Cervera Real Estate knows first hand how important social media can be for a brokerage, and it knows what kind of success a smart social strategy can bring. The company has one of the largest Facebook and Instagram followings of any brokerage in the city, and that’s not by mistake. 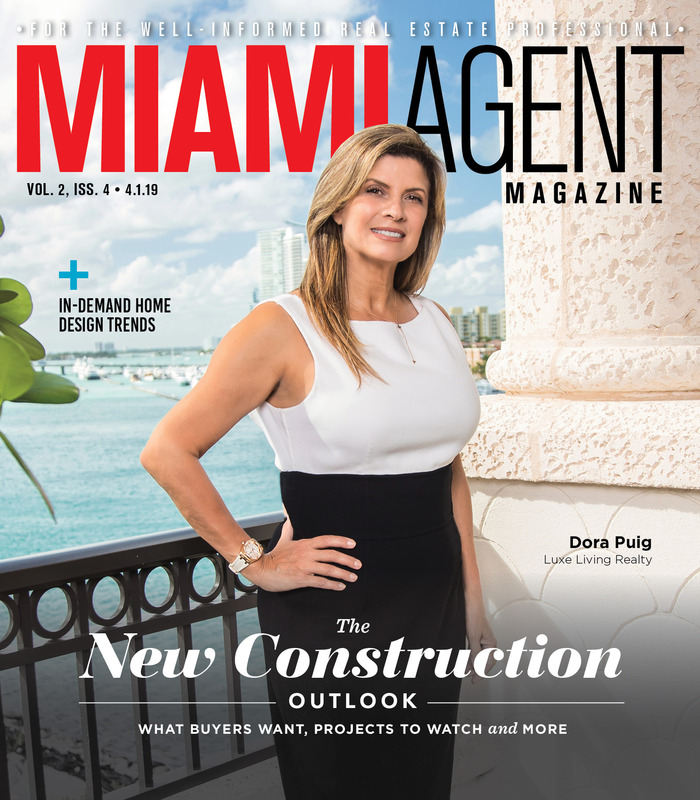 Aside from the glamour shots of a sparkling downtown Miami and the beautiful renderings of upcoming projects, Cervera works to showcase its agents and inform the public. 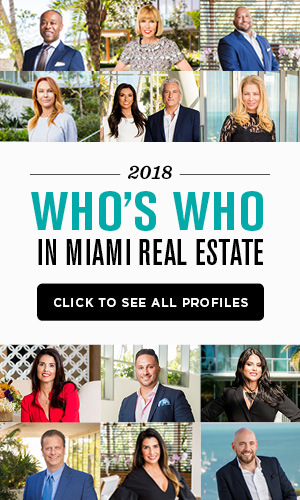 That led them to produce a podcast about Miami real estate, the first in the city and an outreach tool that’s already showing great promise, says Alicia Cervera Lamadrid, managing partner at Cervera. The podcast succeeds in a number of ways: it gives agents a platform to connect with potential clients, and it increases the visibility of the brokerage, says Omar de Windt, vice president of corporate communication at Cervera. “We can bring our top producers onto the show and give them a platform and impart their knowledge on the outside community,” he says. There is now a wealth of data available to consumers, and an agent’s true value is being able to analyze and interpret that data, Lamadrid said. Cervera has worked to share its knowledge with its client base through an active blog, videos explaining concepts like blockchain, and the podcast. Why are all of these technological advances sweeping the industry? Because companies are starting to attempt to solve the one problem that has plagued innovation in real estate. The industry is too fragmented, with too many local regulations, diverse trade groups and diverse data collection, experts say. The data collection problem is key, because uniform data sets are needed to create centralized, smart platforms that can provide the insights and information agents need. Much of that data is stored in the 800 multiple listing services in the U.S., which do not keep the same records or provide the same data. Pavlovic says the person or company who solves the data challenge will be able to provide the best and most data-driven technology to its agents and clients.